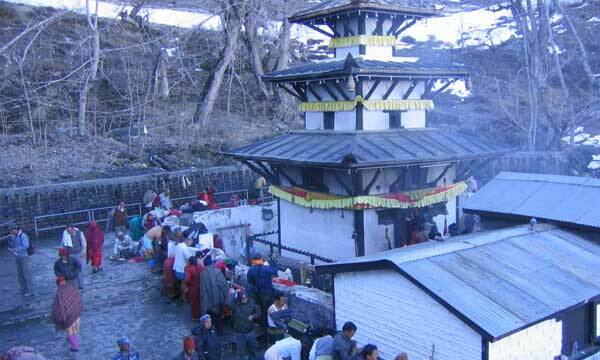 This 5 days duration Muktinath Tour by Flight itinerary begins by flying from Kathmandu to Pokhara (25 mins). On the same day, explore the natural beauty of Pokhara Valley. Next day, fly to Jomsom (15 mins) then walk for half hour to catch jeep. Drive to Ranipauwa (Jeep Station at Muktinath) for about an hour and a half. Again hike for another half hour till the Muktinath Temple. Take a holy bath under 108 waterspouts and two holy Kunda. 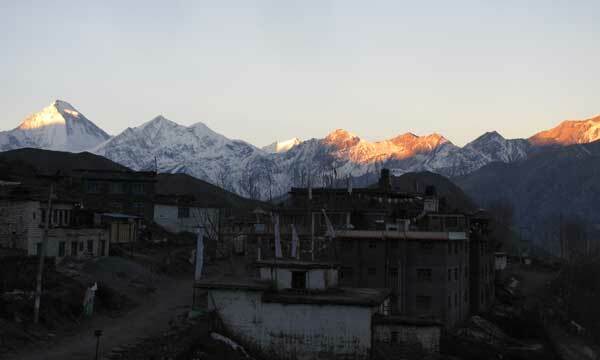 Worship Vishnu God and back to Jomsom. Another day flies back to Pokhara and takes connecting flight back to Kathmandu. Airport pick up and drop by private car at Kathmandu and Pokhara. Twin bed room sharing hotel accommodation at Kathmandu and Pokhara. Flight Tickets from Kathmandu to Pokhara to Kathmandu. Flight Tickets from Pokhara to Jomsom to Pokhara. Local sharing jeep from Jomsom to Muktinath to Jomsom. Sightseeing at Pokhara and Kathmandu by private car. Entrance/Monument Fees during sightseeing at Pokhara and Kathmandu. An English speaking guide for Pokhara and Kathmandu sightseeing. Trekkers Information Managment System Permit (TIMS). Lunch/Dinner and Bar bills like mineral water, beer whiskey etc. Extra expenses in case of Jomsom/Pokhara flight cancellation. Arrival at Kathmandu and transfer to hotel. Evening you will be taken for Pashupatinath Aarati Darshan. Overnight at hotel. Day 02: Fly Kathmandu to Pokhara. Take the earliest flight to Pokhara around 9 am. It takes 25 mins to arrive at Pokhara, then, transfer to hotel. Short rest and proceed for half day Pokhara sightseeing. You will be taken to Bindabasini Temple, Seti Gandaki River, Devis Fall, Gupteshwor Cave and Barahi Temple at Fewa Lake. Free evening. Day 03: Fly Pokhara to Jomsom and drive to Muktinath and back to Jomsom. Pokhara to Jomsom flight is operated in the morning only from 6:30 till 9:00 am depending upon the weather. As per the flight status, fly to Jomsom - 15 mins, arrive then walk for 20 mins to catch jeep. 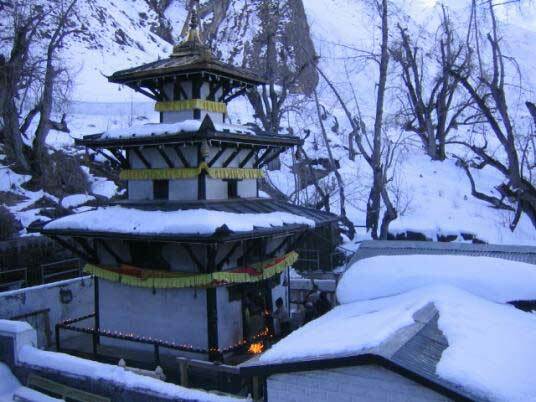 Then, drive to Ranipauwa (Muktinath - Jeep Station) - 1:30 hrs by local sharing jeep. 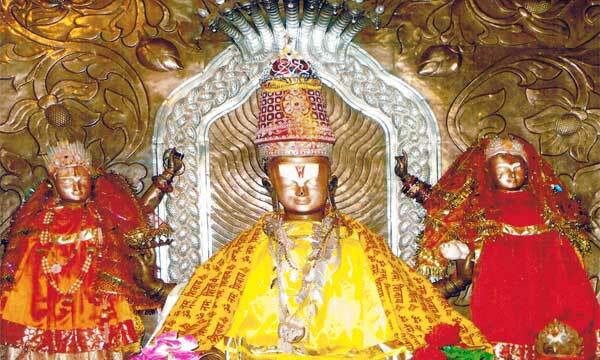 Upon arrival, hike for 30 mins to reach at temple. Who can't walk can ride on horse by paying extra to horse driver. 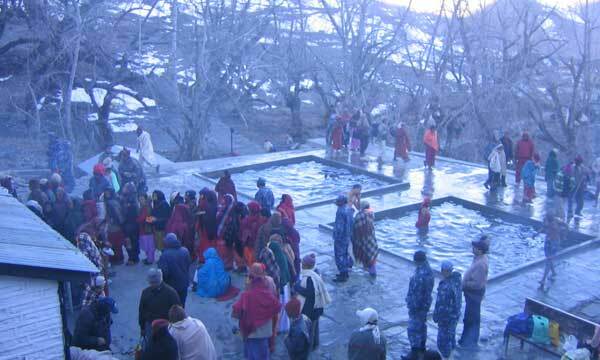 Have Darshan/Pooja at temple and follow the same route back to Jomsom. Overnight at hotel. Day 04: Fly Jomsom to Pokhara and connecting flight to Kathmandu. As per the flight schedule and depending upon the weather, fly back to Pokhara and take connecting flight back to Kathmandu. Arrival at Kathmandu and transfer to hotel. After short rest visit Swoyambhunath Temple (Monkey Temple) and Krishna Mandir at Patan Durbar Square. Overnight at hotel. As per your flight schedule drop to airport for your onward destination.